Vinod Scaria and Sridhar Sivasubbu. The decade following the International human genome sequencing initiative, which drew the blueprint of the human genome, has seen tremendous advancements that has made genomics fast, cost-effective and therefore in some terms equitable. These approaches which enabled the improved scale, cost effectiveness and therefore its utility and implementation has been popularly dubbed Next Generation Sequencing (NGS) approaches. NGS approaches has the potential to tremendously revolutionize clinical medicine, as imaging has revolutionized clinical medicine almost a decade ago. The advent of next generation sequencing has made it possible to now understand and identify genetic variations associated with rare genetic diseases. One of the popular approaches which has found widespread applications has been exome sequencing, which involves sequencing of the exons of protein-coding genes using a targeted capture method. This article provides a general overview of exome sequencing, its applications and caveats. The article also provides an introduction to the Genomics for Understanding Rare Diseases-India Alliance Network (GUaRDIAN) and how the network could be helpful to address specific clinical queries with regard to rare genetic diseases in your practice. The last decade saw the sequencing of the complete human genome . This was followed by remarkable advances in technologies that enabled quick, efficient and affordable sequencing of personal genomes. These technologies have been popularly called next generation sequencing technologies (NGS), differentiating them from the earlier and conventional technologies, which were slow and cumbersome and largely more expensive . 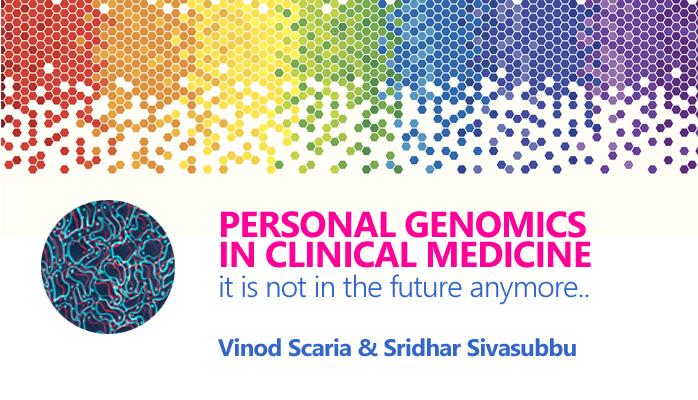 These advances and the availability of genomic information of a large number of individuals provides a template for a significant change in the way we practice medicine in the future . It is widely believed that genomic information would increasingly be used to prevent, predict and offer precise management strategies for several human diseases . The availability of advanced technology in the recent years to sequence whole or part of the genome of individuals have significantly added to our understanding of genetic diseases, especially rare genetic diseases. Rare genetic diseases are by definition, diseases caused by mutations in the genome and occur at a prevalence of less than one in 100,000 individuals. Although individually they occur less frequently, rare genetic disease encompass a spectrum of approximately over 7,000 unique diseases, that add a significant cumulative disease burden . It is estimated that in the United States, rare genetic diseases in total affect one in every 10 individuals. Of the 7,000 odd diseases, the genetic mutation has been characterized for only approximately a half of the disorders. One of the major impact and application of genomic technologies have been the understanding of genetic variations in the genomes of individuals and how these variations could be associated with diseases and traits [6,7]. A variety of genomic technologies which offer genomic assays at different resolutions are available today, and have been extensively been utilised by researchers to understand the correlations or associations with human diseases and traits. The advent of next generation sequencing has in the recent years seen widespread application of the technology in hunting for genetic mutations in diseases, significantly adding to the known genetic associations with diseases in the very recent years. Though largely these technologies have been exploited in the research domain, to discover genetic mutations and associations with diseases, the widespread use and distinct utility has in the recent years spilled over to clinical medicine. The blurring boundaries between the research and clinical applications have seen clinicians increasingly utilising the power of NGS to arrive at fast and precise diagnosis of conditions in clinical settings . This article introduces one such application- exonerated sequencing in clinical diagnosis of rare genetic diseases. What is exome sequencing ? The human genome encompasses approximately over 3.3 billion nucleotide bases distributed among the 23 pairs of chromosomes. The basic functional units of the genome are genes. Genes contain information encoded, which enables its transcription to messenger RNA and further translation to proteins, which are the functional entities in the cell. The information for a gene is not encoded as contiguous nucleotides in the genome, but interspersed stretches of information. This interspersed stretch of information is otherwise commonly called the exons, broken in between by stretches of nucleobases called introns. It is estimated that the entire compendium of this information encompasses approximately 2% of the genome. This compendium is also otherwise called the exome. As you would have imagined, sequencing of this compendium of exons would potentially encompass a majority of the functional regions of the genome important to code for proteins, and sequencing this region would potentially enable us to quickly understand the functional genetic variations in genetic diseases. In addition, the exome, being just a small fraction of the total genome, would be quite fast and affordable to sequence. This has largely been the guiding concept for this emerging technology, popularly known as exome sequencing. How could one sequence just the exons ? While sequencing the entire compendium of exons, popularly known as whole exome sequencing have been widely used, a variant of this methodology, which captures only a handful of selected genes involved in a specific disease has also been available. The latter methodologies have been popularly known as targeted gene panels. Specific targeted panels have been extensively used in diseases, like cancer. Similar targeted panels have also found applications in classes of genetic diseases which require only a handful of genes to be sequenced, as in the case of specific neurological diseases. What are the clinical scenarios ideal for exome sequencing ? 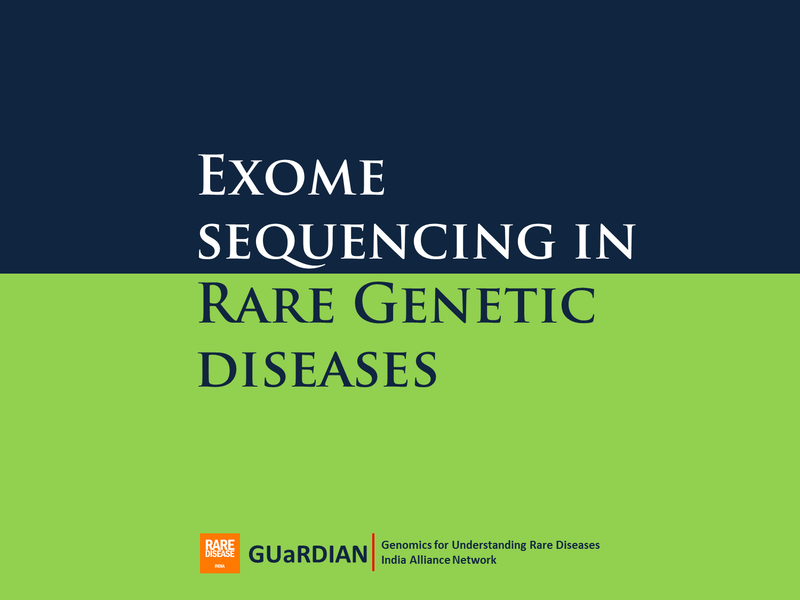 Exome sequencing is typically ideal in situations where the clinician suspects a genetic disease, and characterisation of the disease variant is otherwise laborious, time consuming or an expensive proposition. While the clinical application would largely be ideal in cases of well characterized genes and genetic mutations associated with a disease, the ideal cases in the research domain fall at the other end of the spectrum, which involves undiagnosed diseases or diseases where the genetic loci or mutation is not well characterized. Typical examples where exome sequencing would be ideal in clinical settings include familial diseases, which have a large number of pathogenic variants or gene loci that need to be sequenced/genotyped or cases where the is a diagnostic dilemma with multiple differential diagnoses, involving multiple gene loci, which require to be assayed. In the research domain, rare genetic diseases with no variant or gene known would form the best and ideal candidates for exome sequencing. Figure 1. Summary of the popular methods for capture of exons from DNA. As we described previously, exome sequencing would identify the causative variant only in the exons. Fortunately while a large majority of the genetic variants in genetic diseases do fall in the exons, a small minority of causative variations could indeed fall in the introns or other regulatory regions of genes, which are typically not captured and therefore not sequenced. In addition, a number of genetic diseases are caused by chromosomal abnormalities that involve duplications, deletions, translocations and inversions, which are typically long range interactions and are not captured on exome, and therefore not applicable. This would typically also involve genic translocations and gene fusion products which cannot be typically identified using the technique. In addition, other types of genetic variations, for example those involving repeat expansions cannot be accurately characterized on exome sequencing and would not be advisable in such scenarios. What should a consent process involve ? An informed consent would be required to be taken before the sequencing is performed. The consent should also encompass details of whether the patient would be willing to disclose and/or in times require to mask specific information in the report. A template for the consent is also available online. Is exome sequencing available in India ? What is GUaRDIAN consortium ? GUaRDIAN is the acronym for Genomics for Understanding Rare Diseases India Alliance Network. GUaRDIAN is a consortium of clinicians and researchers, presently encompassing over 16 clinical and research centres in India, and is one of the largest networks in the field in the country. The consortium aims at using cutting edge genomics technology to enable identification of genetic variations in diseases and enable clinicians arrive at precise diagnosis for rare genetic disease. Apart from working closely with clinicians, the consortium aims to foster education, awareness and the widespread adoption of genomic technology in clinical settings apart from creating and disseminating the highest standards of sequencing and interpretation of data. The activities of the consortium are presently funded by from the Council of Scientific and Industrial Research (CSIR), India through intramural grants (Grant BSC0122/CARDiOMeD). Any clinician, department or clinical center is welcome to be part of the consortium. Interested participants should be willing to be part of and contribute to the general cause and follow the common standards of the community. You could find more information on the consortium at URL http://guardian.meragenome.com we look forward to collaborating with you on multiple fronts. Figure 2 provides a schematic overview of the overall pipeline established by GUaRDIAN. I have a family with rare genetic disease. Can I get help ? Yes. The consortium and its members would be happy to help in all possible ways to help you and your patients. It should be however noted that while we take all possible efforts to help patients with rare genetic diseases, resource constraints would mean not all cases could be considered. Similarly we would not be able to assure specific timelines as identification and biological validation of variations is a time-consuming process. However we would be happy to coordinate and possibly work through other avenues including the specific tests available through collaborating laboratories within India. In some cases, when the patients have already availed a sequencing service from a commercial organisation, we would also be able to help in the analysis and interpretation of the information and in some cases, further research in the specific case towards validating and mechanistic understanding of the disease. Figure 3 provides a schematic summary of the referral process and process for referring us genetic material for analysis. Figure 3. Summary of the steps required for sending samples for genetic studies as part of the GUaRDIAN consortium. Where could I learn more about exome sequencing ? The authors have put together a handbook on the topic, with details of the technology, application and interpretation, specifically designed for practicing clinicians. The handbook is available for free in digital format at URL: http://goo.gl/vdov1q . If you require a bound copy of the handbook, we would be happy to provide you a copy. We hope to reach out to a wider community of clinicians in the country and would also like to hear your comments which would immensely help us revise the handbook in future. Authors acknowledge comments and editorial help from @ for preparation of the manuscript. Authors acknowledge funding from the Council of Scientific and Industrial Research (CSIR) India through grant BSC0122/CARDiOMeD. The funders had no role in the preparation of the manuscript or the decision to publish. Authors declare no competing financial interests. Consortium IHGS: Finishing the euchromatic sequence of the human genome. Nature 2004, 431:931–945. Schuster SC: Next-generation sequencing transforms today's biology. Nat Meth 2007, 5:16–18. Green ED, Guyer MS, Green ED, Guyer MS, Manolio TA, Peterson JL: Charting a course for genomic medicine from base pairs to bedside. Nature 2011, 470:204–213. Lander ES: Initial impact of the sequencing of the human genome. Nature 2011, 470:187–197. Denis A, Mergaert L, Fostier C, Cleemput I, Simoens S: A comparative study of European rare disease and orphan drug markets. Health Policy 2010, 97:173–179. Gupta A, Sharma Y, Vellarikkal S, Jayarajan R, Dixit V, Verma A, Sivasubbu S, Scaria V: Whole-exome sequencing solves diagnostic dilemma in a rare case of sporadic acrokeratosis verruciformis. J Eur Acad Dermatol Venereol 2015. Vellarikkal SK, Patowary A, Singh M, Kumari R, Faruq M, Master DC, Sivasubbu S, Scaria V: Exome sequencing reveals a novel mutation, p.L325H, in the KRT5 gene associated with autosomal dominant Epidermolysis Bullosa Simplex Koebner type in a large family from western India. Hum Gen Variation 2014, 1:14007. Ostrer H: Changing the game with whole exome sequencing. Clinical Genetics 2011, 80:101–103.